Special Containment Procedures: Except for approved testing, SCP-581 must be kept a minimum of 1000 m from all members of all equine species. SCP-581 is to be kept in locked, climate-controlled facilities. No firearms are allowed in proximity to any examples of SCP-581-2. 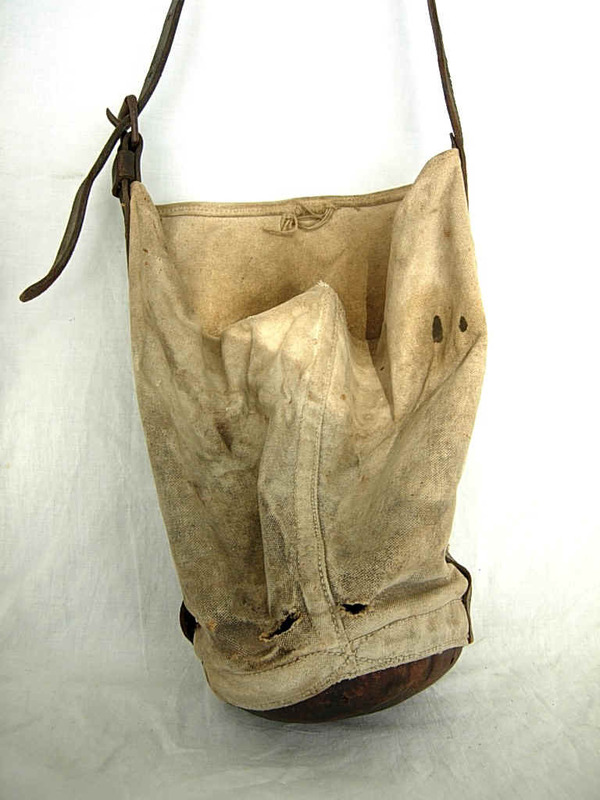 Description: SCP-581 is a horse's nosebag, made from leather. Any equine subject (horses, mules, and donkeys have all been confirmed to be susceptible; zebras, onagers, and other non-domesticated hybrids have not been tested due to budgetary reasons) within 500 m is potentially an instance of SCP-581-1. SCP-581-1's sole motivation appears to be inserting its muzzle within SCP-581; this is strong enough to override instinctual reactions to predator urine or females in heat, and has caused instances of SCP-581-1 to harm themselves in the process of attempting to free SCP-581 from within steel safes. Only one instance of SCP-581-1 is known to exist at any time; examples of SCP-581-1 will actively resist being removed from SCP-581's range of effect, and will sicken and (90%) die within a week of SCP-581 being forcibly removed. If SCP-581-1 succeeds in inserting its muzzle within SCP-581, it will become an example of SCP-581-2. SCP-581-2 is an equine characterized by several anomalous behaviors; these behaviors seem to indicate that SCP-581-2 believes itself to be a human. To date, all specimens of SCP-581-2 have been euthanized due to multiple limb fractures; no specimen has survived longer than two (2) hours.